Whatsapp is probably the number mobile app and chat messenger in the world, these days whatsapp has become an incredible power tool to achieve all kinds of needs. 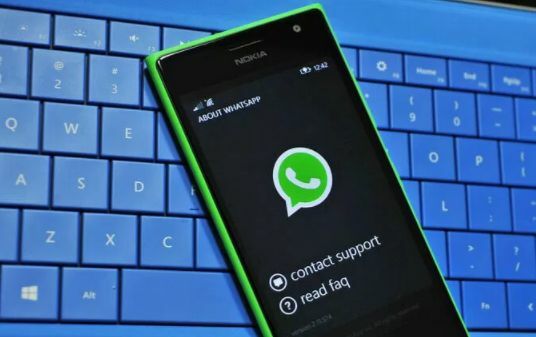 This means instead of constantly divided your time between your computer and your mobile phone to be checking your messages you Use WhatsApp on your computer by simply connecting your phone. You can either download the app to your computer or just use the browser version. 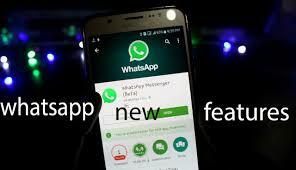 To use WhatsApp Web go to web.whatsapp.com on your computer and Settings > WhatsApp Web on your phone. Scan the QR code displayed on your desktop screen using your phone’s camera. You can Send PDFs, documents, spreadsheets, slideshows and more, without the hassle of email or file sharing apps. To do that just tap on the icon that looks like an office clip on pin and select documents. You can send documents up to 100 MB, so it’s easy to get what you need over to who you want. Aside from the file transfer of photos and videos you can even capture with built-in camera and send. To do this tap the on the icon that looks like an office clip on pin then select ‘Camera’. Then long hold the cycle at the bottom (for android phones) to start recording. The cycle turns red and a timer appears at the top of your screen. WhatsApp allows you to format your text by adding symbols in front of and after words to achieve a level of aesthetics or emphasis. You can format to bold, italics, and strike through. You can find out who among your contact you chat with most. For android go to Settings > Chat > Chat History > Email Chat to view your most chat up contacts. While for iphone Go to Settings > Data and Storage Use > Storage Use. To know the number of messages received, sent, status, data consumed and other such statistics go to Setting> Data Usage > Network Usage. You can also reset this statistics. You can also limit the amount of data you use In the Data Usage menu by ticking the box. If you belong to some overzealous whatsapp group and it keeps getting you distracted you can mute it. Go to open the group > select menu (three dot at top right)> choose duration from options. In Whatsapp one tick means message sent, two tick messages received/delivered, blue tick message read. If you don’t want to let your contact know you have read their messages go to menu> settings>accounts> privacy > untick read receipts. At this place for android users you can also modify your last seen, who see your profile photos etc. Note: if you deactivate your read receipts you also cannot see when they read your message. To conserve data and or storage space you can stop incoming pictures and videos automatically saving to your phone just go to Settings -> Chats -> turn off Save Incoming Media. step4: long press that file then click share then via whatsapp eg: you send NARUTO. it will be Naturo.apk so change it to Naruto.doc or Naruto.txt then send it. – Technology is growing fast these days, you need to stay informed to catch up.